Board Certified Dermatologist, Dr. Arash Akhavan, founded The Dermatology and Laser Group in the heart of midtown Manhattan with the aim of bringing together an expert group of Board Certified Dermatologists and Aesthetic Professionals to deliver the highest level of medical, surgical, and cosmetic healthcare. Dr. Akhavan, a graduate of Cornell University and The Mount Sinai School of Medicine, is also currently an Assistant Clinical Professor of Dermatology at Mount Sinai, and has been voted into the prestigious Castle Connolly “Top Doctors” for the last two years. Dr. Akhavan’s approach to cosmetic procedures of the face, neck, and body is to delay the need for surgical or invasive procedures for as long as possible. 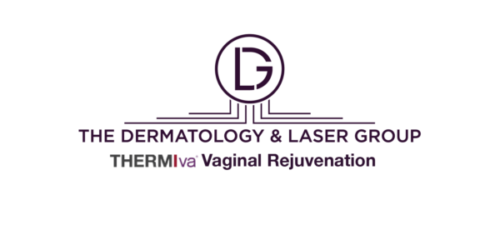 The Dermatology and Laser Group’s Non-Invasive Treatments of the face, neck, and body include the most modern laser treatments to smooth, tighten, tone, and lift the face and neck, and non-invasive laser treatments to slim, contour, and tighten the body, including specializing in non-invasive vaginal rejuvenation. Providing expert compassionate care, using the most technologically advanced techniques and equipment available. Arash Akhavan, MD, FAAD is a board certified dermatologist in practice on 57th Street in Midtown Manhattan for the last decade. Castle Connolly Top Doctor Award Winner 2016 and 2015, Dr. Akhavan is also member of the faculty of The Mount Sinai Medical Center, where he is involved in the education of dermatology residents in their cosmetic and medical clinics. Dr. Akhavan’s particular areas of interest and expertise are in non-invasive and minimally invasive Cosmetic Procedures of the Face, Neck, and Body, as well as in the detection and management of skin cancer and skin lesions. Dr. Akhavan is on the forefront of advanced techniques in cosmetic medicine and was amongst the first to bring newer technologies such as SculpSure for Body Contouring, Cellfina for Cellulite, and ThermiVa for Vaginal Rejuvenation to the NYC area. Dr. Akhavan heads one of the most advanced cosmetic laser centers in Manhattan, with state-of-the-art devices and years of expert experience combining to provide patients with amazing results and safety. All non-invasive laser procedures of the face and body and are offered at The Dermatology & Laser Group. Dr. Akhavan also has special expertise and interest in other aspects of cosmetic dermatology, including the use of Botox, injectable fillers (Juvederm, Voluma, Volbella, Restylane, Sculptra, Radiesse, and others), and chemical peels and other procedures for facial rejuvenation. Dr. Akhavan is an author of several textbook chapters on therapeutics in dermatology, as well as numerous articles published in a variety of journals. Dr. Akhavan’s training in dermatology, internal medicine, and medical education were all completed at The Mount Sinai School of Medicine, where he was elected to the Alpha Omega Alpha Honors Society. He was awarded the Basic Science Achievement Award in 2003. Dr. Akhavan received his undergraduate degree from Cornell University. Dr. Akhavan enjoys playing golf, hiking, and traveling in his time off. As Chief Cosmetic Coordinator at The Dermatology & Laser Group, Alyssa has helped create and maintain Manhattan’s premier office for all non-invasive and minimally invasive aesthetic procedures of the face and body. Ms. DiBenedetto has completed extensive training on all of the various lasers and cosmetic procedures used in our office, and works along side the rest of the clinical staff in making sure patients have a safe, pleasant, and successful cosmetic experience in the office. Alyssa is also involved in the development of an exciting new take on cosmeceuticals that will be introduced in the coming year, through Modern Skin Solutions, LLC, the company she co-founded in 2015. Please click to contact our Cosmetic Coordinator Alyssa if you have any further questions or to schedule a consultation.